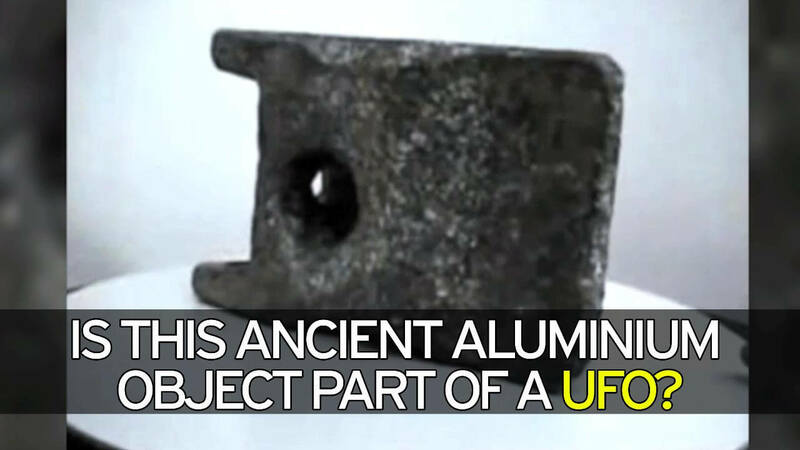 A piece of aluminium that looks as if it was handmade is being hailed as 250,000-year-old proof that aliens once visited Earth. Metallic aluminium was not really produced by mankind until around 200 years ago, so the discovery of the large chunk that could be up to 250,000 years old is being held as a sensational find. According to tests, the object is made of 12 metals, 90% aluminium, and it was dated by Romanian officials as being 250,000 years old. The initial results were later confirmed by a lab in Lausanne, Switzerland. Other experts who conducted later tests said the dates were far alter, ranging between 400 and 80,000 years old, but even at 400 years old it would still be 200 years earlier than when aluminium was first produced.